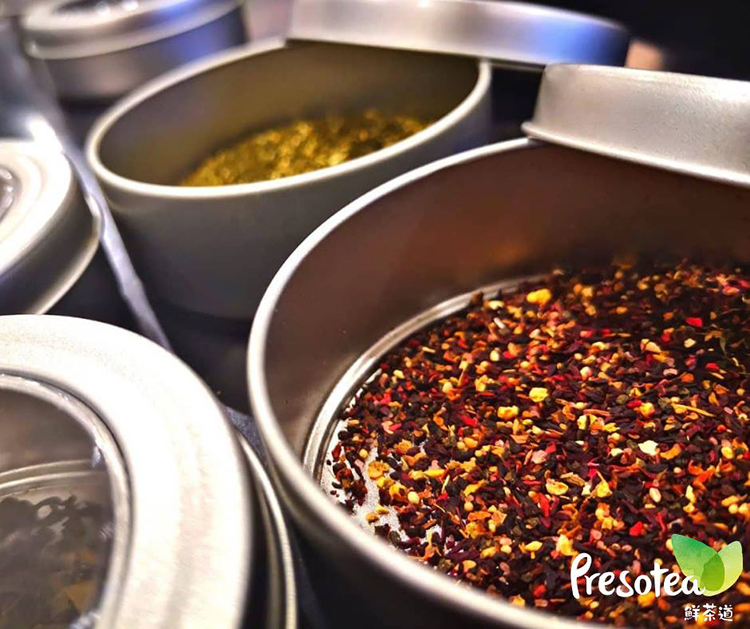 Taiwan's PRESOTEA: Now Serving Brew-To-Order Tea in Robinsons Magnolia! 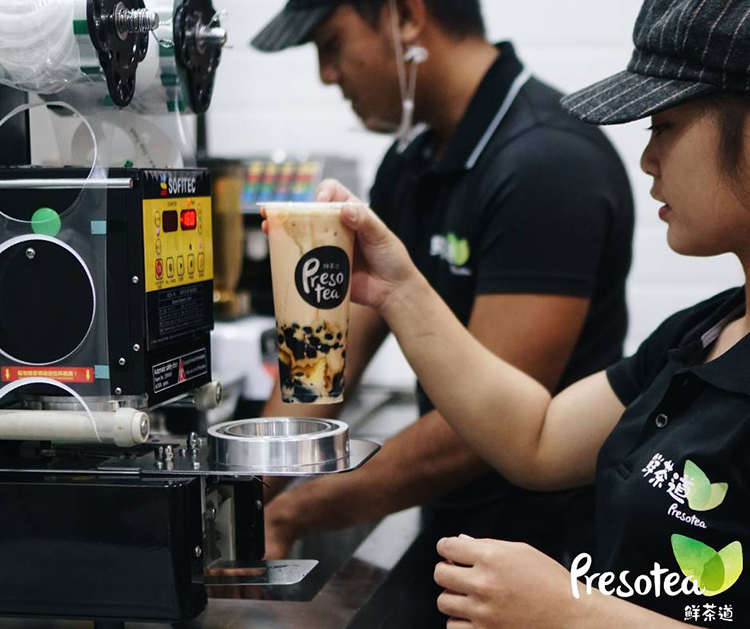 What is PRESOTEA and how is it different from the hundreds of milk tea shops in the metro? Presotea is a well-known bubble tea chain in Taiwan with almost 400 shops internationally. 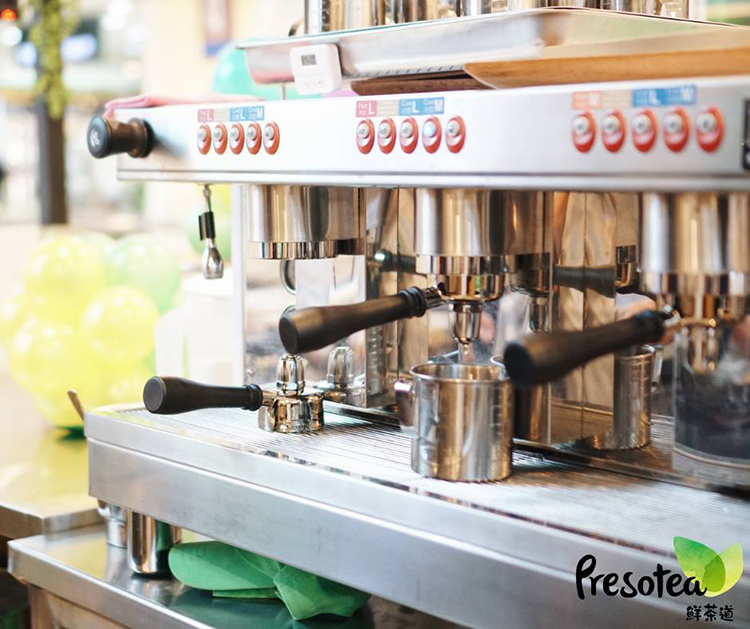 What makes Presotea different from other brands is their unique brew-to-order style! 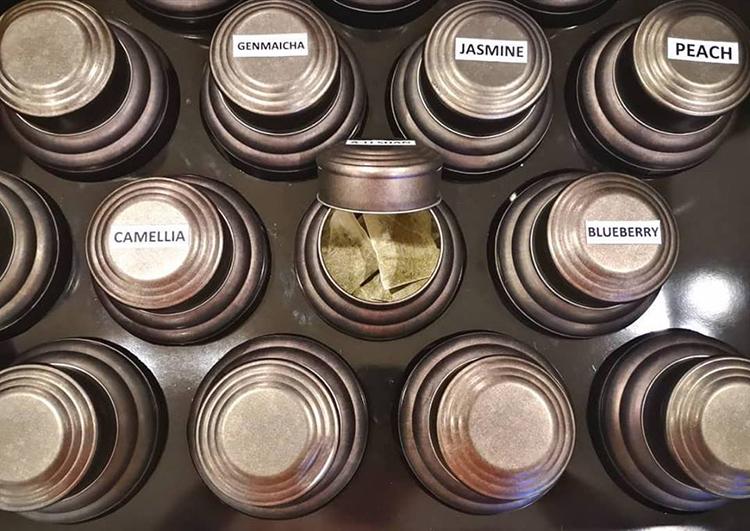 They use this cutting edge tea-brewing machine known as the Teapresso-- each cup is pressed with high quality tea leaves using espresso machine technology to maximize flavor and freshness-- to concoct the freshest and healthiest tea drinks. Compared to other tea shops that brew tea in bulk, Presotea uses one tea bag per order. Every cup is freshly made in front of the customer so they'd be sure to enjoy only the freshest flavors from the tea leaves. WOW! It's located on the 2nd level of Robinsons's Magnolia! It's near the escalators. Smelled all of these fresh tea leaves. So fresh! They made us try their 10 best-sellers-- they have milk tea, fruit tea and coffee! So good!